Basic Conversion Tracking for your Business. Measure! 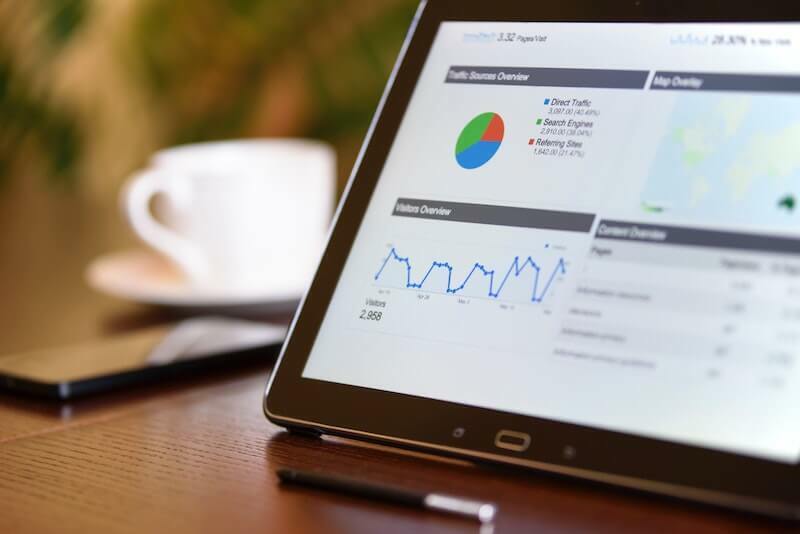 In this blog post, you will learn to set up a few but really valuable web analytics for your website. As a business owner, you need to understand how visitors interact with your website and optimize for conversion. Step 1: Basic goal and conversion tracking. This blog post by Flow SEO. will teach you how. Sign up for a free account of Hotjar. This will allow you to do session recordings and heat maps to understand how visitors use your website. To install Hotjar on your website, login to your Google Tag Manager (read here how to set it up), choose your container and click on tags. Choose “Hotjar” and enter the ID provided by Hotjar. Publish the container and verify the tracking code in Hotjar. The easiest goals in Google Analytics are goals where visitors reach a certain page. Ideally, you will want to track how many visitors reach your sales pages or your “contact us” page. Also tracking your “cart” in an eCommerce store is an important goal. However, you will want to install “Advanced eCommerce tracking” for a shop which is not covered in this basic tutorial. Click “admin” in the bottom left corner of Google Analytics. Choose “goals” and click on “new goal”. Choose a “custom” call and click “destination”. Enter the URL you want to track, e.g. /contact-us/. This will record all visitors reaching the contact us page from all pages on the website. Click “verify goal” and save. If you have a clear user path through your website, set up a goal as described in step 2. When setting up the goal, turn ON the toggle for “funnel”. You can define now to track only users who arrived from a certain page, e.g. you can track visitors that come from that ONE sales page who end up on the contact page. For example: User reading “business analytics solutions” sales page and then come to “contact us” through the call to action. Turn on the toggle “required”. If your visitors are purchasing a product or completing a contact form and you have a “thank you” page, you can easily track them by using the funnel option described above. E.g. You can track all users hitting the “thank you” page that have been on the “contact us” page before. Events are clicks, form submissions or alike. This is for cases where you do not have a “thank you” page. You will best track them using Google Tag Manager. In this blog post, you will learn how to track contact form submissions if you are using WordPress and “Contact Form 7” plugin. Having troubles, read this. Friends, this stuff is NOT easy. Those are some of the most amazing tutorials that I have found on the web and that I use religiously. But keep in mind as much as this is “basic web analytics”, it is really really really advanced digital marketing. If you are running AdWords, you need to track the success of your campaigns. Optimizing your campaigns for the strategies that work is 80% of the successful AdWords game. Again: Google Tag Manager is your friend. Watch this video to learn step by step how to set up AdWords conversion tracking. In this video, you will learn how to track conversion if someone hits a “thank you” or purchase “confirmation page”. Have fun and happy tracking! your website & growing organic traffic?